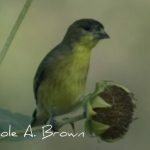 I’ve created several “Ultimate Guides” to specific topics for wildlife gardeners over the course of the last several weeks which you may find extremely helpful, and will probably want to bookmark so you can refer to them again and again. These Ultimate Guides are an exhaustive compilation of everything our teams have written about these topics over the years, and are jam-packed with tips and helpful information to help you make your wildlife the Ultimate Home for wildlife. Please enjoy and make sure to share them with your friends. 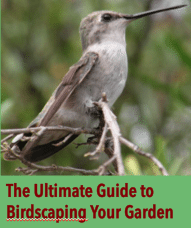 The Ultimate Guide to Birdscaping Your Garden: Nearly one third of all U.S. birds are endangered, threatened or in significant decline due to habitat loss, invasive species, and other threats. Habitat loss is the key in these declines. Yes, there are organizations devoted to protecting habitats, but the total amount of protected land in the U.S. is only 5% of available lands. And this is simply not enough. 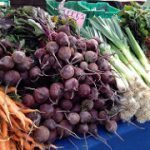 80% of available land in this country is held privately, and that is where you and your Ecosystem Garden play a crucial role. Every time we choose to create, restore, or protect habitat in our wildlife garden, we are choosing to become responsible for the health of the wildlife in our area. 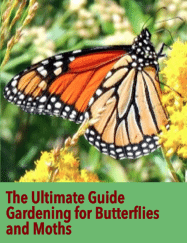 The Ultimate Guide to Butterfly and Moth Gardening: Butterflies around the country are in danger from habitat loss and pesticide spraying. You have a critical role to play in protecting these beautiful and beneficial pollinators by creating welcoming habitat in your wildlife garden. When we think of butterfly gardens, we tend to think of lots of nectar plants for adult butterflies, but to have a successful garden for butterflies there is much more to it than that. 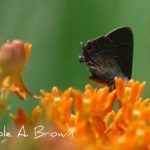 You need to understand the whole Life Cycle of each butterfly and moth species you want to attract so that you can plan for all of their needs. 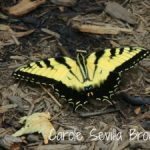 You want to stretch the blooming season in your butterfly garden from at least early spring through late fall to provide the most value for these beautiful insects. We’ve got 135 ways to welcome butterflies and moths to your wildlife garden. 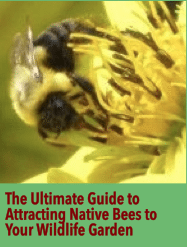 The Ultimate Guide to Attracting Native Bees: We hear so much about how the bees are in trouble, but most people don’t realize that most of this discussion centers around honeybees, which are non-native to this country, but have been imported heavily for use in agricultural pollination, and are now seeing great declines dues to colony collapse disorder. We need to wake up to the fact that many of our native bees are also in great trouble due to habitat loss, pesticides, and other actions by humans. The truth is, our wildlife gardens are one of the last lines of defense to protect these native pollinators. We can create habitat and provide them with everything they need. Doing so will ensure that all of our beautiful native plants receive the pollination services they need, and even that we have delicious tomatoes and other vegetables growing in our gardens. 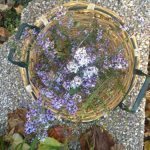 I’ve pulled together over 60 wonderful resources to help you begin to attract more native bees to your Ecosystem Garden. 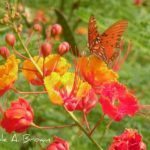 The Ultimate Guide to Restoring the Monarch Butterfly: The Monarch Butterfly has been much in the news lately as we receive the devastating news that the current wintering population in Mexico is at all time low. But despite all this doom and gloom, there is still hope! Your wildlife garden, no matter how small, can become part of a network of connected gardens around the country that are restoring or creating habitat for this beautiful butterfly. 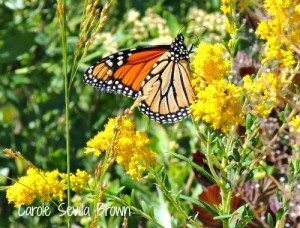 I have written many articles about the Monarch Butterfly, as have my team members at Beautiful Wildlife Garden and also Native Plants and Wildlife Gardens. So, in order to make this library of resources easier for you to find, I’m going to collect them all here for your reading pleasure. 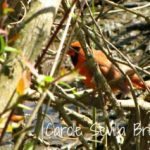 Are Wildlife Gardeners Real Birders?